As the most dramatic sign of the zodiac, luscious Leo can carry the exaggerated details of this opulent and exuberant style with ease. The Baroque Style began around 1600 in Rome, Italy (a Leo city,) before spreading to the rest of Europe. Made for aristocracy and those with power, baroque is woven into our culture as a way to impress and express riches and control. Lesser mortals would shy away from this statement dressing; highly artistic, dramatic and grandiose, the style suits Leo so! Dramatic, dazzling, generous, popular and warm, people born under the zodiac sign Leo have an affinity with the emblem of royalty, the lion. Regal touches come naturally to this sign. Gold, bronze and rich hues are their lucky colours. Leo can add a regal touch with the addition of large, embellished earrings – dramatic and rich – and, Leo ladies can pop on a tiara or ornamental crown, not just on a special occasion. Cara Delevingne is fashion ROYALTY says Vogue… See her full horoscope here. Leo Lawrence Wears A Braided Crown… See Jennifer Lawrence‘s full horoscope here. J-Lo, queen! 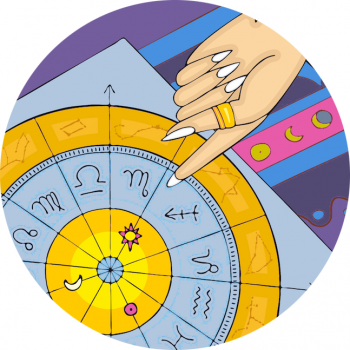 See this luscious Leo’s horoscope, here. Mistaken for an heiress in Monte Carlo, Selena makes the perfect princess… See her full horoscope, here. Go to the astrology of Virgo Beyonce, here. See Gemini Nicole‘s full horoscope here. Go to Libra Gwyneth’s horoscope, here. LOL! That gimp’s expression. Leo Madonna… The Kindly Ruler?!? See Madonna’s full horoscope here.